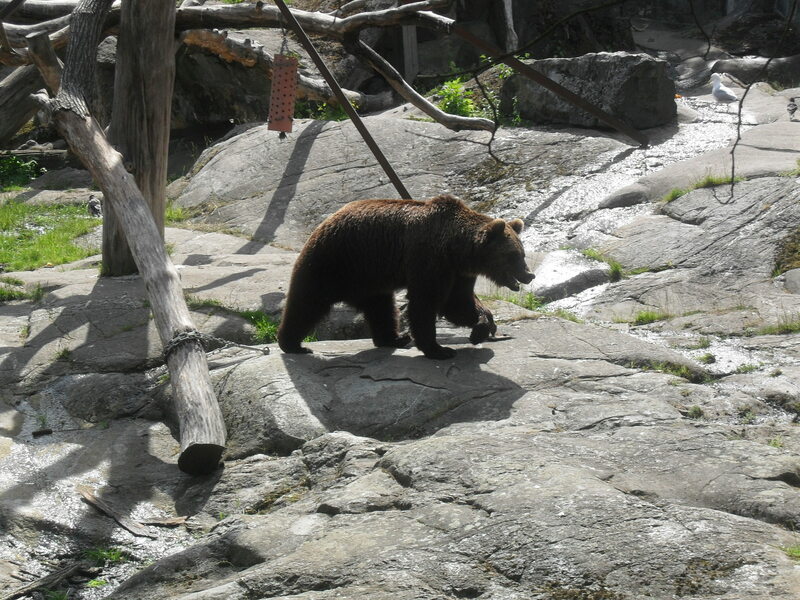 Yesterday on our first full day in Stockholm, we took advantage of the sunny day and visited Skansen. 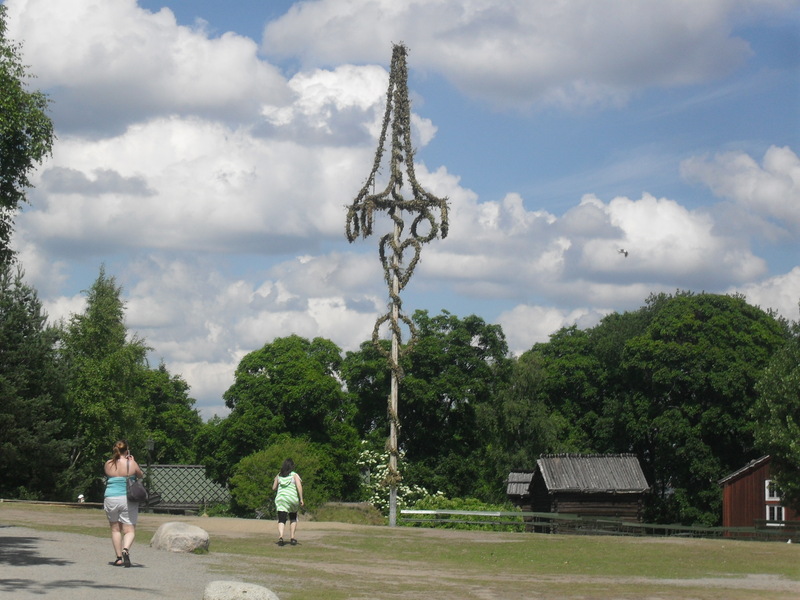 Skansen is a huge open-air museum, showcasing Swedish history with buildings, gardens, fields and lifestyle displays from all over Sweden over many centuries. Some displays even go right back to Viking times. 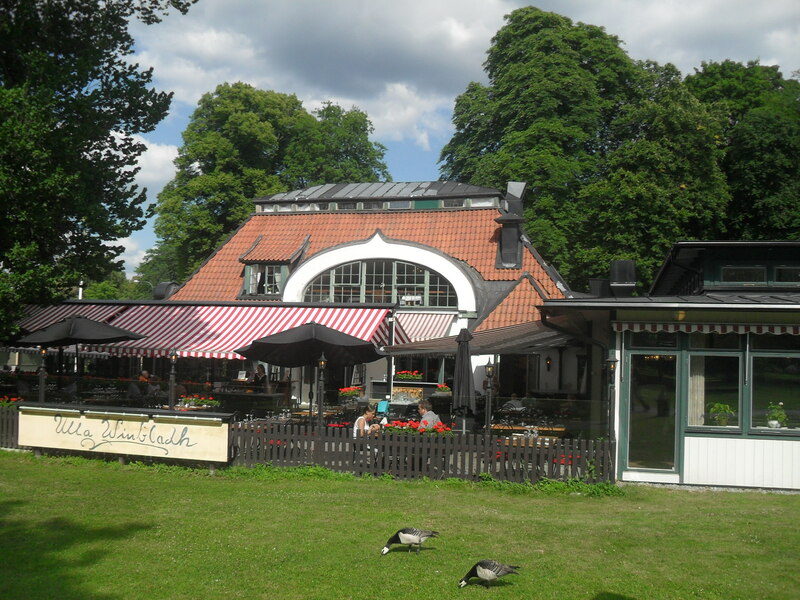 It also has a zoo featuring animals native to Scandinavia. 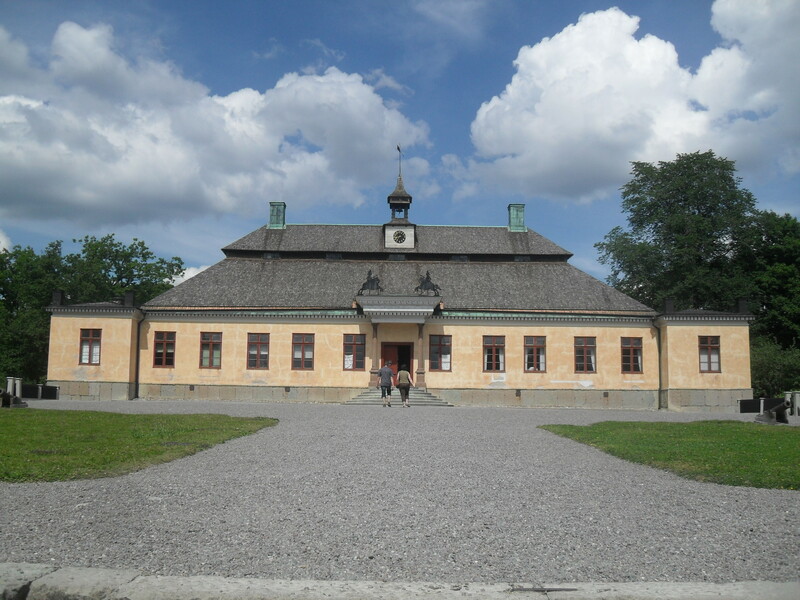 Skansen is very beautiful, but best enjoyed in good weather. We visited on an earlier trip to Stockholm, at an earlier time of the year when many of the displays were closed, and were not opening until May and the Summer season (particularly the animals, which we were very disappointed about missing). We spent several hours just walking around, looking into many of the buildings – houses from towns, farmhouses, village halls, even Sami and Finn village huts. After some negotiation we also visited Julius Kronberg’s studio, site of the photo shoot for the cover of ABBA’s last album, The Visitors in 1981 (see previous blog post). 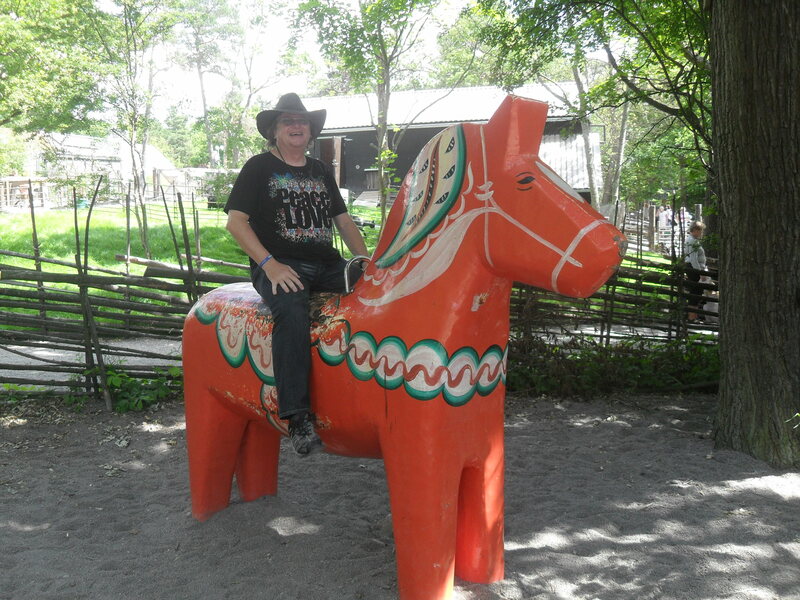 I also dragged myself up onto the huge Dala horse for a photo op, and I think I may have caused some permanent injuries 😉 For those readers following the connections in some of these Stockholm posts, Benny and Björn were photographed on the Dala horse in Skansen somewhere around 1971/72. Finished with Skansen, we stopped off for a beer at nearby Ulla Winbladh restaurant. The keen-eyed ABBA fans will recognise this as the site of two famous ABBA photo sessions, the first in 1975 (Greatest Hits cover), the second in 1976. Will the permanent injuries caused during the Dala horse photo shoot be covered by travel insurance ?? ?